The single appeared on The Joshua Tree album and Best of 1980-1990/B-sides compilation. It was the first single that U2 released on CD. The Righteous Brothers and the Walker Brothers, particularly the album Climate of Hunter by Scott Walker, are said to have inspired the song. The single became U2's first No. 1 on Billboard's Hot 100 chart and was voted Best Single by readers in the 1987 Rolling Stone Magazine poll. The song is also available in the movie and on the soundtrack for Blown Away. It can be found on many compilations including: The Island Story 1962-1987, a 2-CD set to celebrate Island Records 25th Anniversary; Billboard Hits 1987; Billboard Hits 1985-1989 (a 5-CD box set); Music Of The Millennium, and 14 Hot Hits. 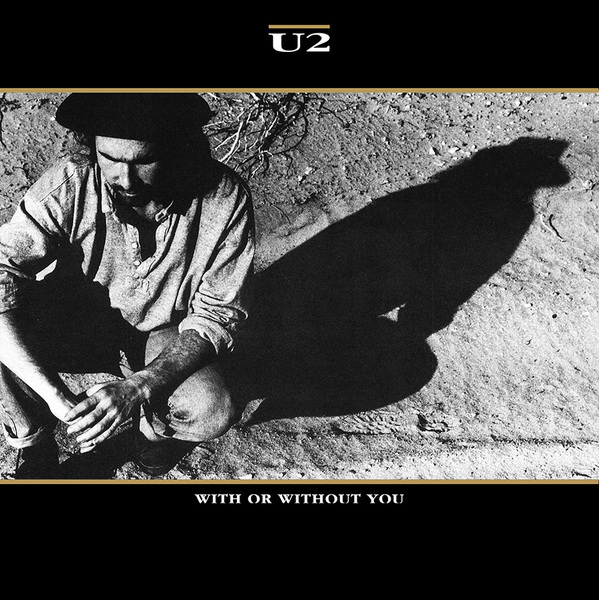 With Or Without You is the second most popular U2 song for artists to cover. Several acts have covered the song live including Chicago blues/rock artists The Freddy Jones Band during the H.O.R.D.E. tour, Coma, Guster, Boyz Nite Out, Therapy?, and Double You. Double You released a techno version on their We All Need Love album and a CD single contained several remixes for Streets. Other artists releasing recorded versions were: Apocalypse Cow on Zoovenir - A Tribute to U2; Apocalypse Now on Temporary Reprieve; Cunnie Williams on Star Hotel; Heaven 17 on We Will Follow: A Tribute to U2; the Knudsen Brothers on Electric Acapella; Kwirl on Punk Chartbusters Vol 2; Studio 99 on The Best of U2 - A Tribute; The Section on Strung Out On U2; Mary Kiani on Long Hard Funky Dreams; Penn Masala on Awaaz; Mancini Pops Orchestra on Mancini Rocks The Pops; Michael Montaud and Xtatic on Any Minute Now. Paul Parker and Kira Lado both released a With Or Without You single and Jawbreaker released a single called With Or Without U2. 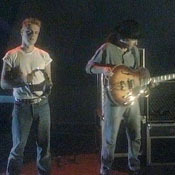 The song also appears on two soundtracks: U2's version for the film Blown Away and the film With Or Without You and a cover version by Hamish Cowan, lead singer with Australian band Cordarzine, on the film Looking for Alibrandi. I know I might not be the most original person liking this single the most. But I didn't choose it... It was Spring 1990, I was 14 and my mother had just died a few weeks ago from cancer. I was coming back home from a school trip, despite the circumstances probably one of the best trips I had with what would become some of my best friends through all my life.... ok ok getting carried away here. So we where all in this bus, I driving back home (that was Caracas / Venezuela in those days) and one guy played it, he had it in tape.... I immediatly fell in love with the song, could never again get enough of the band and of curse got my first heavy crush on the guy. All three being still very meaningful and important in my life.